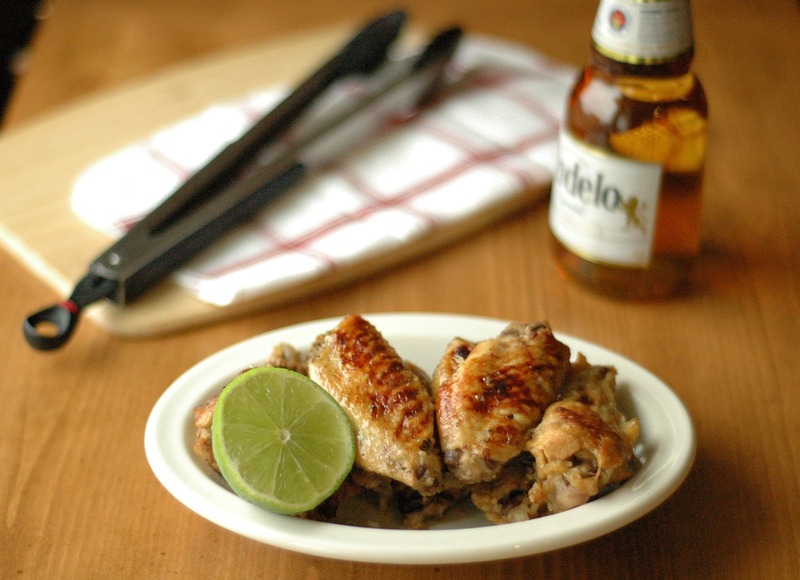 I love these wings because you can easily eat them as finger food at your Super Bowl party. They are not messy at all! But yet still juicy and full of flavor. I do recommend one step for these wings that I usually try to avoid with my recipes but in the case it’s totally worth it. 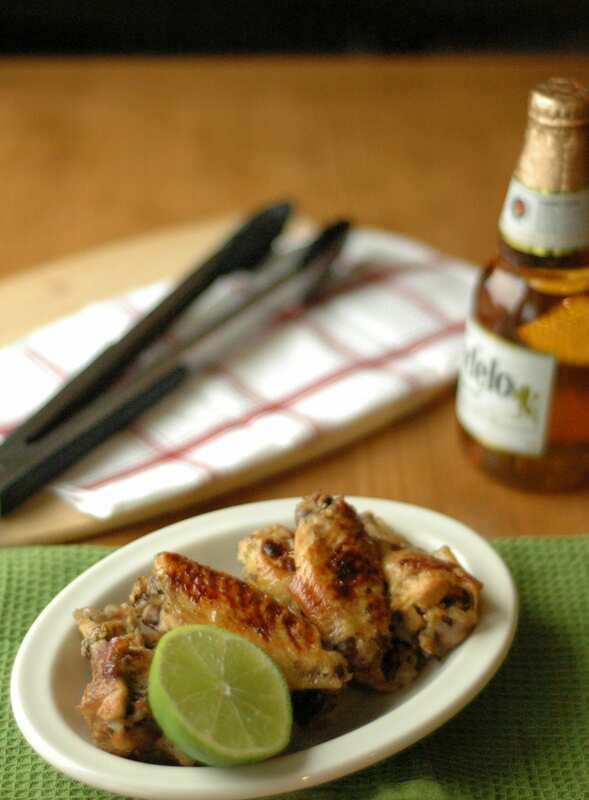 When the wings are done you should place them on a foil lined broiling pan and put them under the broiler for 3-5 minutes. 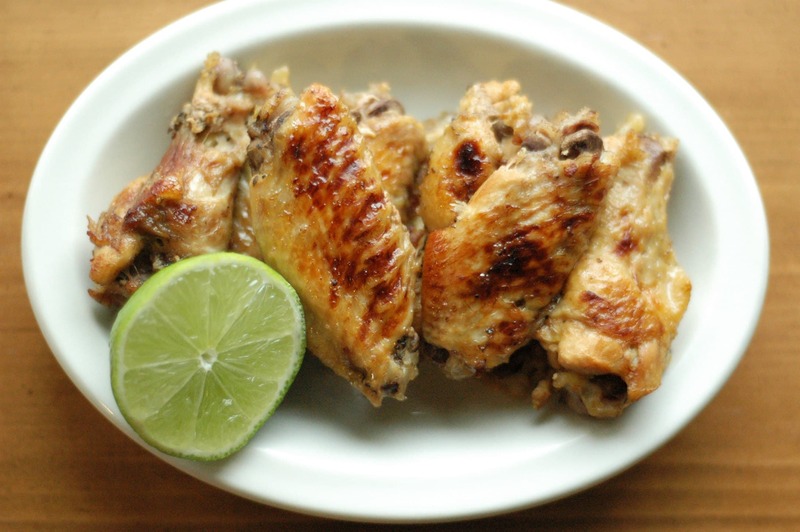 Then they will have a perfect crust….that little bit of crunch you want when biting into wings. Super easy and super easy clean up since you used foil! On another note — if you like casserole recipes you should check out this website. You know I love casseroles and have blogged about several I have made. Well, one of them, my Slow Cooker Denver Omelet Casserole, was recently featured by their site! Make sure you check it out! Stay warm (unless you are smarter than me and already live somewhere warm! Then stay cool!) !! 12 oz bottle Mexican beer Corona, Modelo, etc.